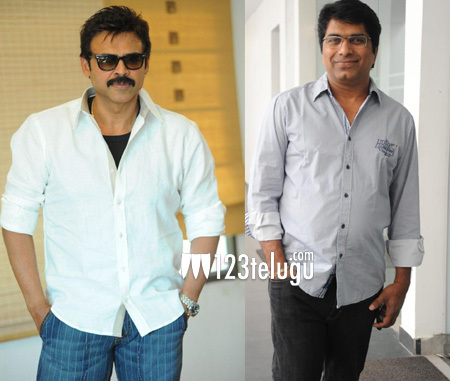 As per the latest buzz, director Dasaradh is all set to helm a high profile project featuring Victory Venkatesh. Currently, the script work is going on and the film will have its official launch in February. Interestingly, both Venkatesh and Dasaradh command decent following among the family audiences. Naturally, expectations are ripe that this combination will come up with a family entertainer. Dasaradh’s last film ‘Greeku Veerudu’ with Nagarjuna was a huge disappointment. The director is now determined to make a comeback with a solid hit. On the other hand, Venkatesh is on a roll with back to back hits with ‘Drushyam’ and the Sankranthi release ‘Gopala Gopala’. Keep watching this space for more updates on this project.